What’s working in promotional products? Every now and then, something comes along that disrupts an industry. When the Japanese first introduced their small vehicles to America, citizens dismissed them. But not when younger consumers flocked to buy them, eventually making the manufacturers industry leaders. When Washington’s Presidential campaign team handed out commemorative buttons in 1789, no one would have believed how the simple act would lead to an evolving promotional products industry that has transformed marketing. CustomUSB is excited to announce their newest licensing partnership with HBO Global Licensing. Through this partnership, CustomUSB will be manufacturing a variety of custom shaped USB drives based on the Emmy® Award-winning series Game of Thrones. 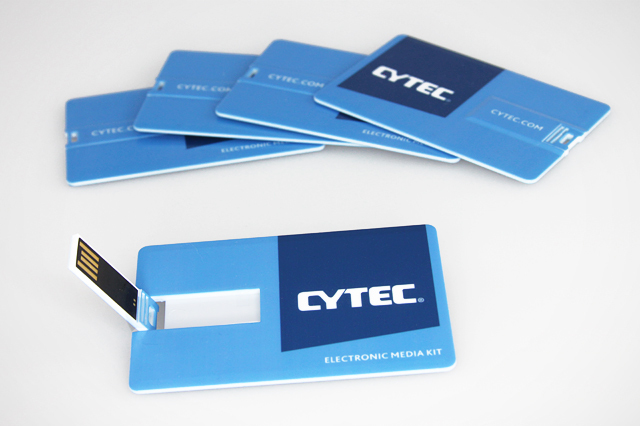 Featuring full metal construction, each of the custom-shaped USB drives is molded after props from the series. 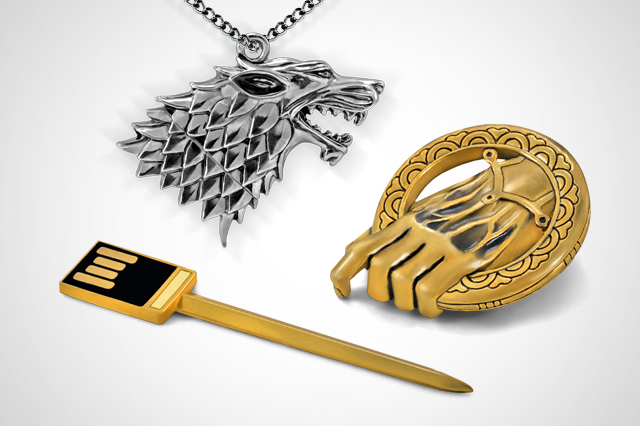 The first product release will include Hand of the King Pin USB Drive, Stark Direwolf USB Drive Keychain, and the Targaryen Dragon Egg USB Drive Pendant. These collectable USB drives will be available for sale on the CustomUSB Store https://store.customusb.com, and official HBO online shop http://store.hbo.com, with other retailers to be announced soon. 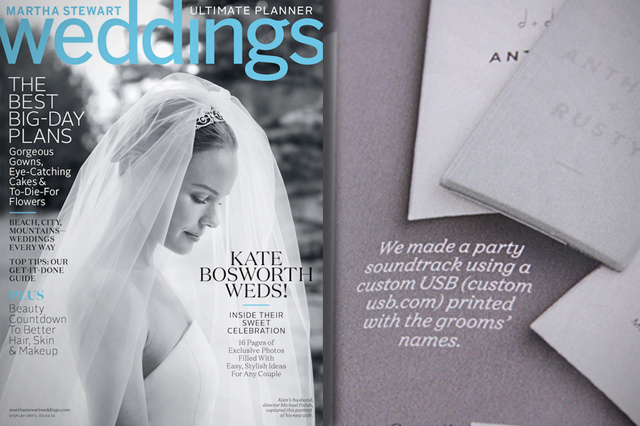 CustomUSB is featured in the winter 2014 edition of the Martha Stewart Weddings magazine! If you end up picking one up you can find us on page 76, in Darcy Millers Spotlight on Music! 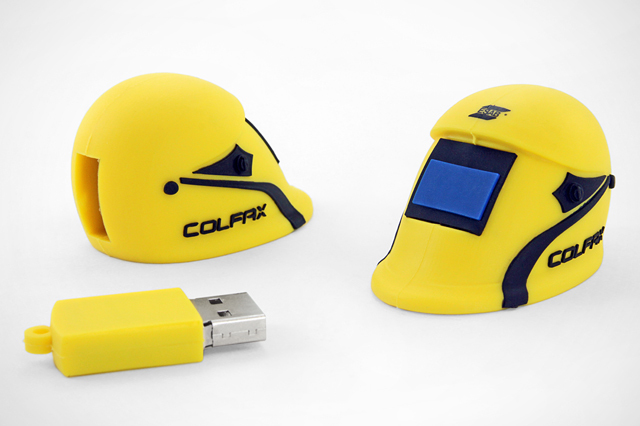 We just recently made two custom USB drives for Colfax. The first one is a welding helmet for ESAB Global which is a division of Colfax that specializes in all things welding. 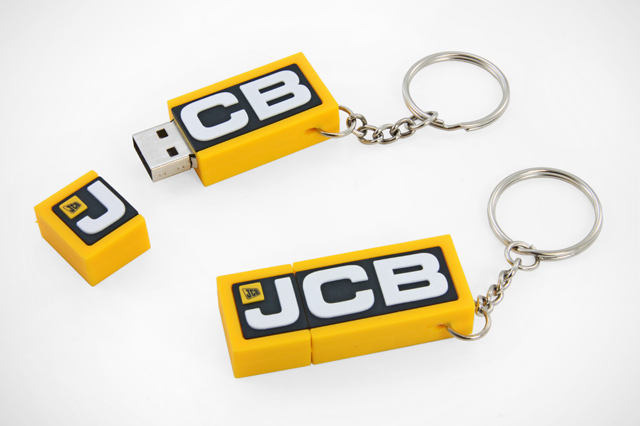 We have worked with JCB in the past to create a few different custom shaped USB drives. 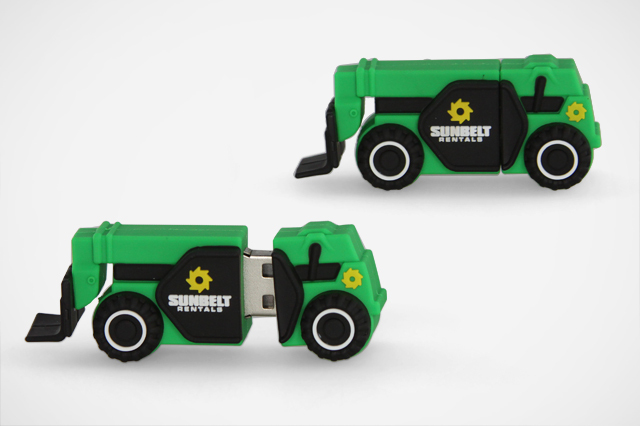 Usually we create a custom shaped USB drive modeled after one of the many pieces of equipment they manufacture, but this time they wanted something a little more simple. Although it isn’t the most complicated drive we have made for JCB, it is probably my favorite. 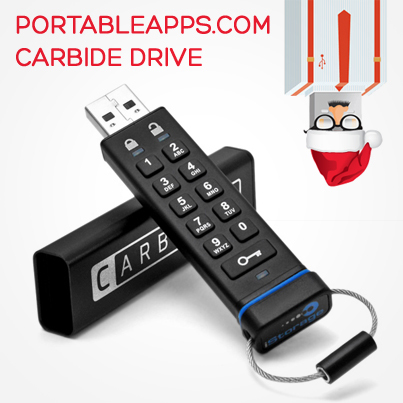 The small size makes it perfect to carry around every day, and it shouldn’t have any problems interfering with nearby USB ports either. When we first mentioned the Gigs.2.Go USB drive it was all over the web, and everyone was asking how they could get their hands on one. Since then we have been working with BOLTgroup to perfect the design, and they have finally released it! If you are one of the many that can’t wait to get one, you can be one of the first to receive your Gigs.2.Go USB drive by backing their Kickstarter campaign! 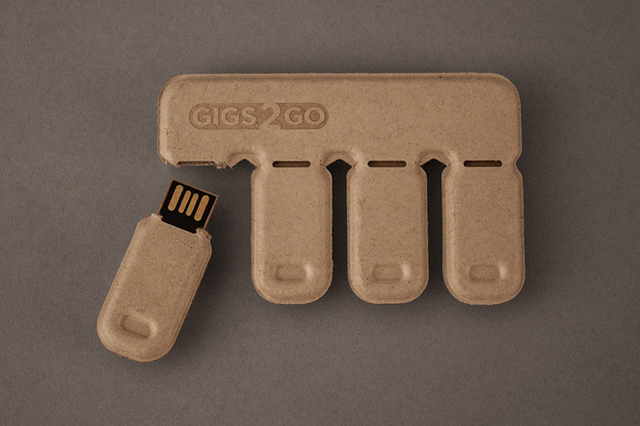 If you missed the original Gigs.2.Go USB drive release, it is a credit card-sized flash drive made from recycled paper pulp, that is a fast, easy way to share large files. 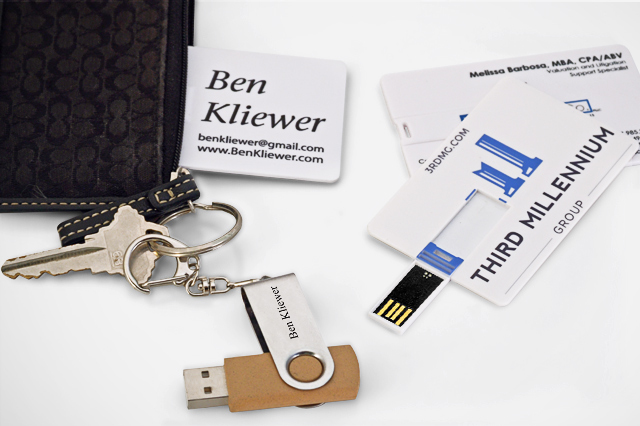 The flash drive is cheap enough to hand one over to a friend, coworker, or a client without having to think twice about it, but the recycled paper case is durable enough to use again and again. Their Kickstarter campaign was launched yesterday, and is already off to a great start! So be sure to check it out, share it with your friends, and back this awesome project! 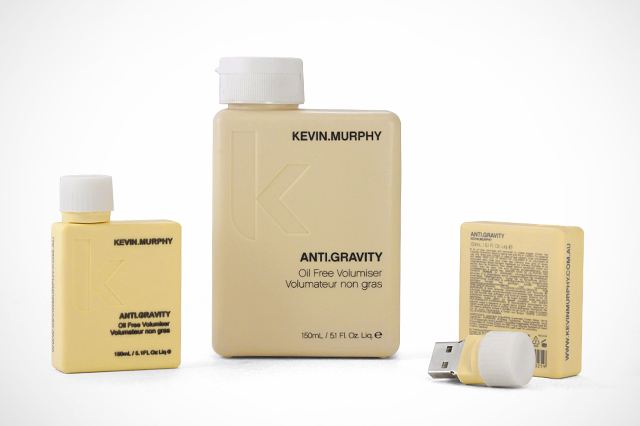 The details on this new custom ANTI.GRAVITY bottle USB drive for Kevin Murphy are spot on! Even down to the ingredients, and barcode on the back!